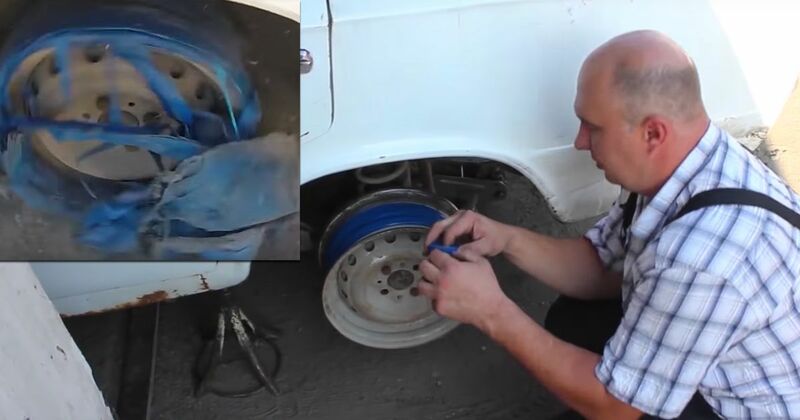 Bonkers Russian YouTubers Garage 54 seem to have a thing for replacing tyres with more ghetto alternatives, don’t they? We’ve seen them use shoes, water bottles, Coke bottles and even beer cans, and they’re not done yet. 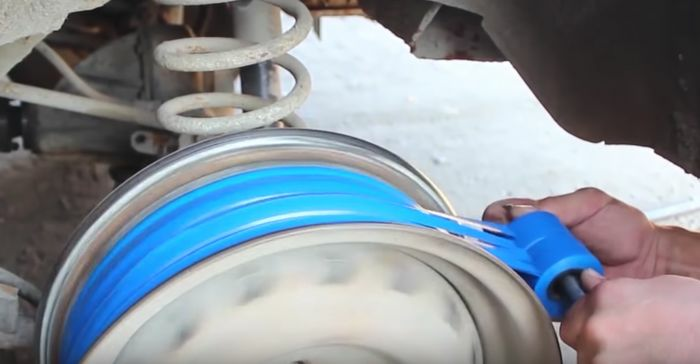 The latest tyre stand-in is made from electrical tape. 600 rolls of the stuff, to be precise. As is the norm for a Garage 54 project, the makeshift tyre does actually work, with some sizeable caveats. Traction is an issue, and you have the obvious problem of ground clearance. But hey, if you want some stance on the cheap…yeah, actually, still don’t do this. It also didn’t take long for the electrical tape stack to start falling off, so naturally the only thing left to do was give it a destructive send off!